We have been discussing ways in which, we, as believers, can guard our hearts when we are on the cusp of abundant blessing from God. The Israelites were about to enter the Promised Land, and receive houses and fields that were not theirs. A former slave people would become a nation. On the brink of receiving many blessings, they were in danger of losing their hearts to the world and drifting away from the God who saved them. For any person, it is when we are being blessed by God, that we are the most vulnerable in losing our hearts to the temptations of this world. We could end up following the idols of the culture in which we live. We could forget the Lord. We could loose a thankful heart and take all of our blessings for granted. We could even become proud, thinking that all of the blessings we have accumulated actually were procured exclusively by our own “human” efforts. In doing this we end up giving glory to ourselves and not to Christ, who is the actual source of our blessings. Our love for our Savior can grow cold. Anyway, we know that we must guard our hearts, for God’s blessings are being poured out on us continuously. We are so blessed. We live in one of the most blessed countries of the world. We are living in the most blessed generations. We have freedom of religion and freedom of thought and expression. The greatest blessing is yet to come, the resurrection from the dead into life everlasting in the kingdom of heaven where we will live with our Savior Jesus, face to face. But, as a result we are the most vulnerable generation. We Christians, must make it a point to guard our hearts. In this section, in our series on Deuteronomy 6, we will further delve into Deuteronomy 6:5, “Love the Lord your God with all your heart and with all your soul and with all your strength. “ and Mark 12:30, “Love the Lord your God with all your heart and with all your soul and with all your mind and with all your strength.” We will explore each aspect of devotion, to love the Lord with all of our heart, mind, soul and strength. Then we will explore the dangers of continuously trying, with our own human efforts, to becoming more efficient in showing love for Jesus, verses simply being found in Christ, through faith. This will be illuminated through my personal testimony in this matter. Part 1: Suggestions On How To Better Love God: But Be Warned! God has given us heart, mind, soul and strength. He has given us these characteristics to love him. He has given us the direction to love him intensity, using these qualities, so as to guard our hearts and protect and nurture our relationship with him. But be warned, trying to apply these teachings, without having a “vine and branch relationship” (John 15:5) with Jesus Christ, can make a person into a disciplined disciple who is depressed and devoid of joy and laughter, limited in their ability to exalt the name of Jesus. With this in mind, we will explore different ways to love God in the modern context. Keep in mind it is not a check list on how to become more efficient in our walk with the Lord. It is not a blueprint on how to self prune ourselves of our useless branches. It is an ideal that could inspire us as we follow Christ. First, loving God with all of our heart: A person’s heart is the seat of their passions. We give our hearts to many things. Young people give their hearts to their friends, to music and self improvement. They achieve great things when they give their hearts. Adults give their hearts to their hobbies and pursuit of their dreams. They too can achieve great things. Loving God with all of our heart, is loving God with all of our passion. How can we do this? What we are passionate about comes naturally. God can redeem our passions and use what we are passionate about, for the glory of God. Or, a person can do what doesn’t come naturally…force their passions to be in line with what they think is loving God. I would not suggest this. This will lead to joylessness. Second, loving God with all of our soul: We have two components to our being, body and soul. The soul is made in the image of God. With the soul we can commune with God. We can relate to God. We can love God and we can worship God. Loving God with all of our soul means that we worship God. We nurture our relationship with God as we worship, revere and adore him. Loving God with all of our soul is something that spontaneously erupts. It is a response to an encounter with Jesus. It is a result of experiencing God’s grace. We can encourage worship to happen, by joining in worship with the local congregation. But ultimately it is God that causes our soul to overflow with worship and praise. Forcing ourselves to worship him can only go so far. Third, loving God with all of our mind: Our mind is very powerful. When humans begin to pursue something with their minds, nothing seems impossible. Even extending human life to 200 years, or starting a colony on Mars seems possible. Once the mind starts to pursue a topic, it is hard for us to get it out of our minds. There are those who can’t put down a 700 page book until it is fully read. Others pursue a hypothesis until they uncover the truth. We can love God with all of our mind. We can read books about God. We can develop mission fields with its many systems and networks with our minds. We can write about God and spiritual life. We an imaging the Kingdom of God and what great things the Gospel will bring to a people group, with our minds. In an attempt to love God, we can discipline our minds to think about Christ honoring things. We can discipline ourselves to engage in daily devotionals etc. But, we can also burn ourselves out denying our mind to dwell on what truly interests it and forcing a round block into a square hole for too long. Fourth, loving God with all of our strength: People have a lot of strength to do things with. We can apply our strength to loving God. God gives us the strength. He inspires us, and loves us, hopes in us. This inspiration, hope and love give us more strength. We can focus our strength to love Jesus. For example some people get up at 5 am to ensure they have time for devotionals. They sacrifice sleep in order to engage in a mission. We can muster strength to read a spiritual book. We can get a degree in Christian ministry. We can shed useless things in our lives in order go further with the strength we have been given. This is where the danger lies. A person may get so focused on shedding the baggage in order to muster more strength to love God, that they actually forget about God. Without a vine and branch relationship with Jesus, they become disciplined in spiritual things but lose the full life that Christ would have for them. The end result is a joyless, yet efficient, life of faith. This is where we fall into burnout if we are not careful. And this brings me to my own testimony. Now is the time to talk about the dangers of trying to be more and more efficient in our loving God. Out of a deep sincerity of heart, we try to become more disciplined, as we self-prune ourselves, to get rid of few more useless branches from our lives. We try to excise a little more selfishness, self serving tendencies, in order to devote ourselves to our mission, which we equate with loving God. Maybe we could squeeze out a little more offering, devote a little more prayer time, introduce a little more Bible reading, make sure that there is less time for ourselves and our “selfish” pursuits and more time for Jesus and his mission. All of this is done in our sincere quest to live God with all of our hearts, minds, soul and strength. I operated like this for 26 years, all the while ignoring the importance of dwelling in Christ and finding my peace and rest in him. I ignored the truth of being still and knowing that God is control. This way of life helped me to be disciplined and to find my giftings in the Lord, but it also took a great toll on me. Over the course of two and a half decades, I become very devoted to my mission in the church. So devoted that some days I would sleep for 4-5 hours a day, occasionally having to stop and take a nap in my car. After working all night, I would be up at 2 pm to meet students for Bible study at 230 pm. For over 5 years, I would memorize 10-30 Bible verses every two weeks and write a four page testimonial and travel 140 miles (there and back) to join a meeting. I would leave at 9am and get back at 7pm. I would study the Bible with six people per week on a 1:1 basis each week. I would write a message weekly and deliver it on Sunday. Every two weeks do the Sunday thing with only three hours of sleep. There was a huge expenditure of ,money. Above tithing, there were conference fees and travel fees and the paying of two mortgages for a few years, one for our home and the other for a church house. On Sunday there were three Bible studies with the kids after the Sunday worship service. All of this was happening, after working full time and raising five kids with my wife, Julie. They activities varied over the years, but the intensity of it all carried on for 26 years. At the end of it all, I was running like a machine. I got this way from attempting to cut off one useless branch after another, becoming more efficient in expressing my love for God while ignoring the relationship with Jesus Christ. The result of this kind of drive for efficiency was both good ad bad. The good thing was that I did get to know Jesus better. I got to know my Bible. I grew to be a 1:1 Bible teacher. I could become a Christian mentor. I could lead group Bible studies. I could write and deliver Gospel messages. I could relate to other Christian leaders and work together with them. I prayed. I could write reports about the work of God. I could slowly grow to be a writer and a devotional writer. I could be a networker in the work of God. I could promote missionary support groups. I am very thankful for these skills that God bestowed. They provide me with the tools I will use, as I serve the Lord Jesus, throughout my entire lifetime, even in the twilight of my life…even in a nursing home, I can serve Jesus with these tools. They are meaningful tools that are bringing about lasting fruit in my life. This is because of Jesus Christ, and the disciplines that I experienced while growing as a disciple. But then there were the bad things. I was very efficient but largely joyless. Years ago I remember being attracted to Afro-American Gospel music and Southern Gospel music. I liked these genres of Christian music because they were full of joy. They were not full of joy, because of the number of people coming to an outreach event, or engaged in ministry. They were singing about the Kingdom of God and the Resurrection. And not just doing church, and not just being resurrected out of the deadness of our wounded and weary hearts so we can serve Jesus more efficiently. They were sincerely celebrating life everlasting with the Lord Jesus forever and ever. And then there was John 1:4 that I could not ignore. This verse reads, “In him was life, and that life was the light of all mankind.” And also John 10:10, “The thief comes only to steal and kill and destroy; I have come that they may have life, and have it to the full.” These verses continually knocked on the door of my heart. In Jesus is Life. This life is the light of all mankind. Jesus came to bring life. He came to grant us life to the full. I could not give testimony to these statements. I was not experiencing this life, nor life to the full, and yet I was sincerely trying to follow Jesus for 26 years! Though I was getting super efficient, I was depressed, without laughter, with momentary episodes of joy, and strained relationships. I doubted that anyone would ever choose to follow Christ, by looking at my life. What I was portraying was more, endless “boot camp” training than life in Christ. In regards to ministry, did such a lifestyle bring about a larger church? Did it attract people to our fellowship? Did it attract missionaries to voluntarily gather to preach the Gospel together? Did it create a fellowship where joy in the Lord was overflowing? Did it create more Bible teachers and spiritual mentors? Did it inspire others to follow what I was doing? No. After 26 years of trying to make myself more and more efficient in loving God, I saw no prospects for change, operating in that paradigm. Some would have me think that if I just suffered for five more years then the dams of God’s blessing would burst open. I didn’t believe that. 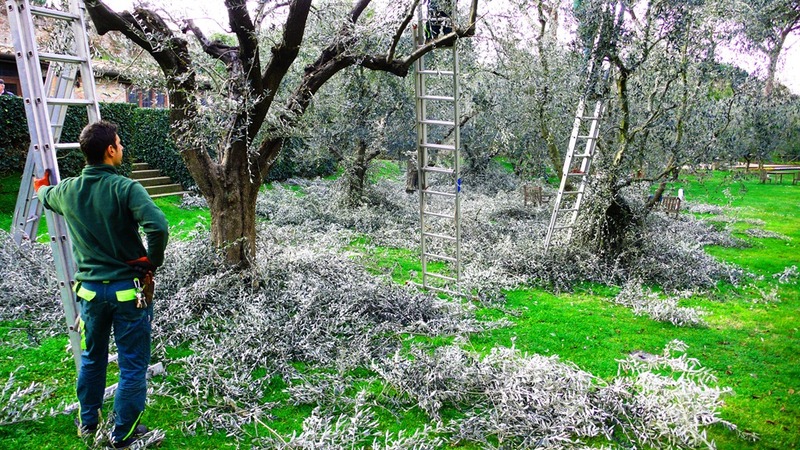 I knew that things would only remain the same, endless self pruning and refinement. I did believe in the parable of the five loaves and two fish. If I just offered what I had, then God would accept that and multiply it. But I was offering up my five loaves and two fish for twenty six years and I was left depressed. Once a thought crossed my mind, “What if I need to offer up my five loaves and two fish” more intensely and sincerely? Maybe then God would bless. When I shared this with a brother in Lord, he laughed. He saw the folly of my legalistic way of thinking. I was really stuck. No one was telling me I was wrong. I appeared to be devoted to the mission and appeared to be loving God with all my strength. But Jesus seeing my need, broke the chains himself. John 1:4 and John 10:10 resounded in my heart. If Jesus came to give us life to the full, then why was I not experiencing life to the full, even after streamlining my efforts for 26 years! I was stuck in a rut. I knew something was missing but didn’t know what. I was hard hearted. But God led me along a painful awakening in 2012 until now. Along this leg of the journey, I came to discover what it means to dwell in the Lord. I learned about resting in the Lord and taking the unique yolk that Jesus has for me and my life and my family in this season of living…the Missio Dei in my life and family. I learned about being still and knowing that God is control. Over the last three years Jesus has taught me that loving God with all of my heart, mind, soul and strength, has nothing to do with endless refining and making myself more efficient. It has everything to do with remaining in Jesus. It has everything to do with allow God to bear what he wants in my life, in his time and in his way, and not forcing the issue. There is life in Jesus. There is life to the full in him. There is the fruit if joy, peace and love, but that is not found in self pruning for decades. It is an outpouring of our relationship with Christ. I thank God for each leg of my life’s journey thus far. God has grown me into the man I am today. God willing, I will still have 50 more years to serve my Lord Jesus in this world. (That is if I live to 100!) I thank God for his gifts and his blessings and the missions he has called me to. It is now time to enter into the next season of my life and ministry. And it not going to be marked by endless self pruning and streamlining of my expressions of love to the Lord. I will be more concerned about having a vine and branch relationship with Jesus. I will, by the grace of God dwell in his love and allow him to bear his fruit in my life and family. I will allow him to exalt his name through my life. And I will enjoy the life to the full that Christ gives. I will bear testimony to the world, that in Jesus is life, true life and we can have life to the full by faith. I have a great hope that endless, God-honoring fruit will be born. It is God who will nurture and blossom love in my heart, allowing me to love him with intensity. No more endless refinement and self pruning, only remaining in Christ. I will focus on my relationship with the Lord and let, God, the gardener of my soul, prune me as he wills, enabling me to love him with all of my heart, mind, soul and strength.